Take your binoculars into the restaurant with you. Ask local residents in restaurants, hotels, gas stations, etc. about where good birding locations might be in their area. Put a birding bumper sticker or window decal on your car or business. It speaks for itself, so you don't have to! 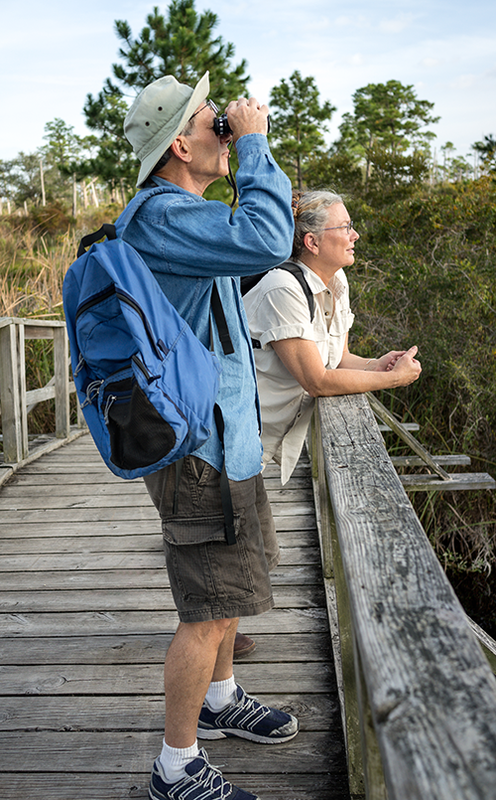 Contact local tourism bureaus and chambers of commerce for assistance planning a birding vacation to the area. Building public awareness in the value of birding tourism—and being respectful of both private property and the birds themselves—helps advance the efforts to conserve our birdlife. What Do Birds Have To Do With It? In December 2016, Nature Change produced a video featuring the founders of the North Huron Birding Trail. It gives insight into the formation of the birding trail and how it will help diversify the Les Cheneaux area economy.